The 2014 Indian Rally Championship calendar has finally been announced. The championship will feature six rounds and will kick off in June 2014 at Nashik - the only tarmac rally of the season. 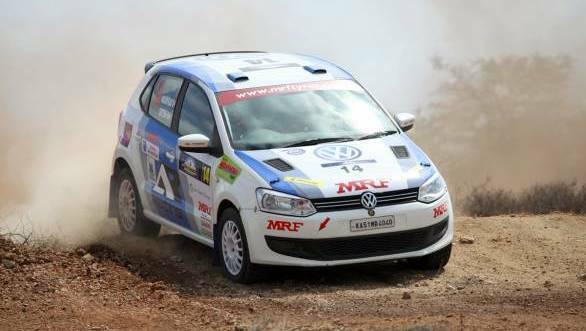 The remaining five rounds that will be held in Coimbatore, Chennai, Kolkata, Bangalore and Chikmagalur will all be gravel rallies. While the Coimbatore and Chennai editions of the rallies will be held in July, the season will then take a break, only returning in November in Kolkata. The final round of the season will be held between the 5th and 7th of December in Chikmagalur. Speaking of the Chikmagalur rally, we have some disappointing news for rally fans. The event was supposed to run as an Asia Cup rally in 2014, with APRC observer Murray Brown declaring that all that was required was for the stages to be made wider. However, with the parliamentary elections scheduled in April, which was when the rally was initially meant to be held, and the time frame within which the stages had to be widened far too short, the rally will not be part of the Asia Cup this year. In 2015, however, there is a good chance that the Cafe Coffee Day Rally will be a part of the Asia Cup. Another change from the Initial calendar that was released is that the Delhi round - all tarmac rally to be held at the BIC - of the championship has now been cancelled.